An opportunity for people to experience a taste of the Toronto International Film Festival (TIFF) is returning this fall thanks to a special film series. Kindersley Screen Arts runs an annual film series in town and the organization acquires the rights to films from TIFF. The group shows a film on the fourth Saturday of each month at the Sunset Theatre. 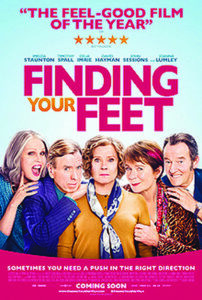 The first film of the series is Finding Your Feet and it will be shown on Sept. 22 starting at 4 p.m. All films in the Kindersley Screen Arts series start at 4 p.m. Admission to the films is always $10, and people must be 19 years old to attend because wine and beer are served at the theatre.